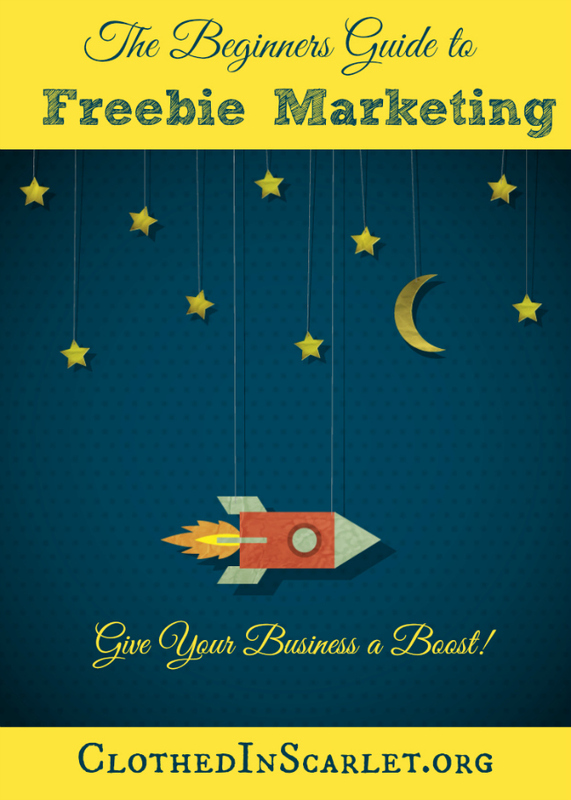 We’re almost halfway through our series on Freebie Marketing. 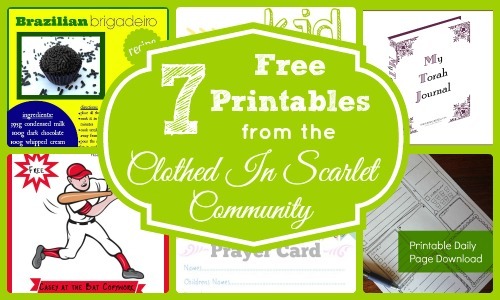 After sharing a variety of tutorials on how to create printables you can give away to your audience, we now move on to eBooks. 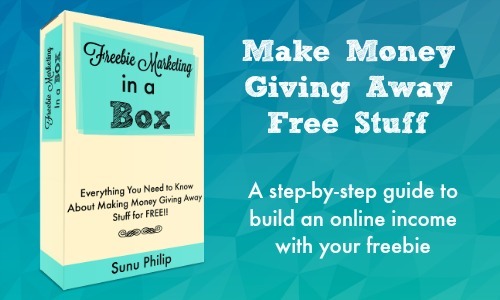 EBooks make great freebies. You can just put together a short report about your product/service, curate a few popular posts from your blog, or even share simple tutorials. I’ve found that Microsoft Word is the easiest platform to write an eBook. Most people are proficient in using a word processor and the entire process is simple and hassle-free. 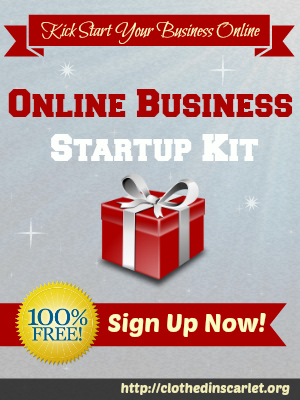 Here are a few things you should decide on first, before you being writing your eBook. Topic – Finalize on the topic you will be writing about. You should have considerable knowledge about the topic and also enough content to fill an eBook. Title – Brainstorm possible titles for your eBook, and narrow it down to 2 or 3, if you’re not able to finalize on just one. Do make sure your title is simple and catchy. Tagline – This can be a bit lengthier than your title (about 10 – 15 words). It should explain exactly what the book is about and how it will benefit the reader. Outline – Make a rough outline of the eBook itself. This includes the chapter headings, and if possible, a few sentences describing the content you want to include in each chapter. Length – It is essential that you decide on the length of your eBook beforehand. 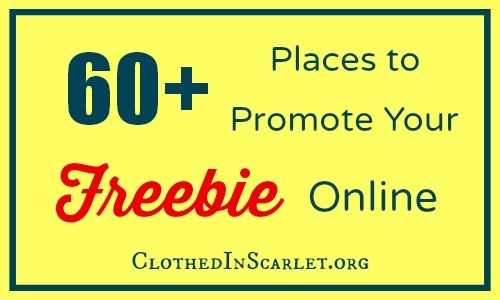 If you’re giving it away as a freebie, it need not be very long. Based on the number of pages you want your eBook to contain, you can estimate the length of each chapter as well. 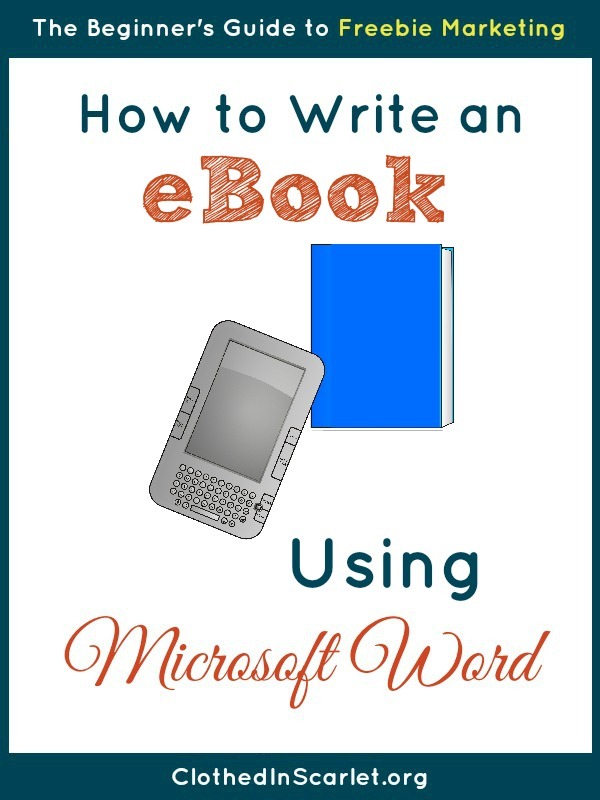 Let’s now get into the step by step process on how to write an eBook using Microsoft Word. 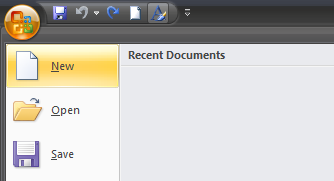 Step 1: Open a new Word document & save it. Based on how you want your eBook to look, select the appropriate orientation from the ‘Page Layout’ menu. Your eBook cover has to be in the same layout as your eBook itself (for obvious reasons). 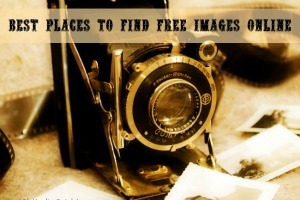 You can easily create the cover image using PicMonkey and save it as a JPEG or PNG. Make sure the cover image suits the title of the book and your audience. You can add the cover image by clicking on ‘Picture’ in the ‘Insert’ menu and selecting the cover image from your computer. Step 4: Add the title page. The first page of your eBook should contain the title in a bold font, the tagline in a smaller font, and your name. 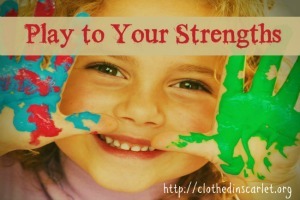 Here’s a snapshot of the title page from my eBook. Step 5: Include the copyright (and disclaimer, if required). The copyright is to ensure your ownership over the content of the eBook, and to prevent it from being reproduced without your consent. Use a disclaimer to protect yourself from any liabilities that may arise because of the content of the eBook – especially if it deals with money or health. Use a smaller font for this information, and place it at the bottom of the page. 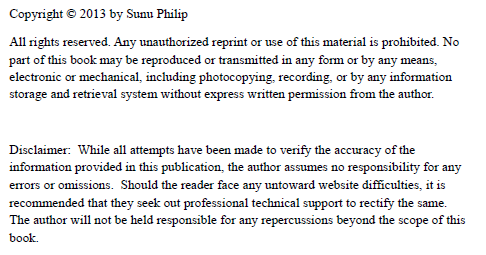 Here’s a snapshot of the copyright and disclaimer from my eBook. 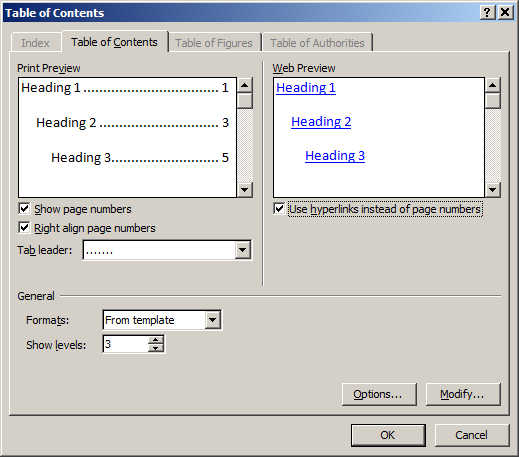 Step 6: Add the Table of Contents (if required). This is not required if your eBook is just a short report. But if it is longer and has a variety sections, it’s better to include the table of contents to help your readers navigate the eBook easily. 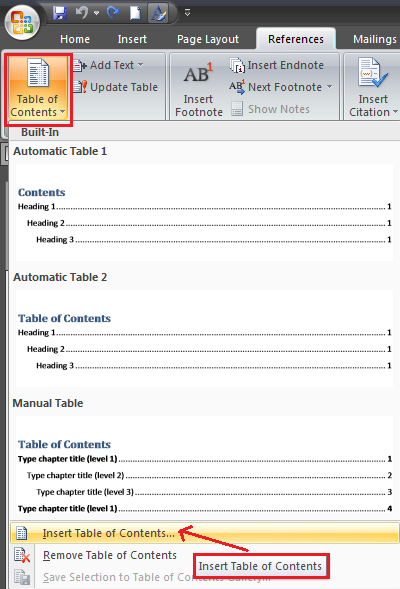 Select ‘Table of Contents’ from the ‘References’ menu, and click on ‘Insert Table of Contents’. In the dialog box that opens up, select the options you require (such as page numbers and hyperlinks) and click ‘OK’. 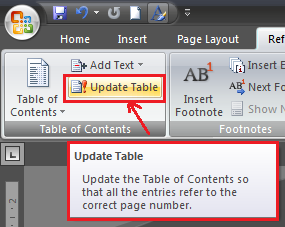 Right now, the table of contents may not have much information, but after the content is written, you can click on ‘Update Table’ and it will update the table of contents to include all the headings within your eBook, with the correct page numbers and hyperlinks. Step 7: Add the header. 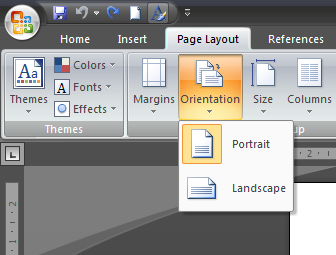 Click on the ‘Header’ option in the ‘Insert Menu’ and click ‘Edit Header’. You will now be able to add your text in the header. Typically, headers include the title of the eBook. 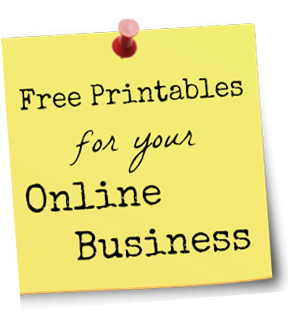 You can also include your name or your website if you want. 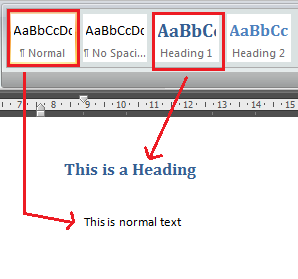 Double click outside the header area to save the header and continue with your eBook writing. Step 8: Include the footer. Click on the ‘Footer’ option in the ‘Insert’ menu and click ‘Edit Footer’. You will now be able to type text into the footer area of your eBook. Add you website name, or any other information you want to include in the footer. 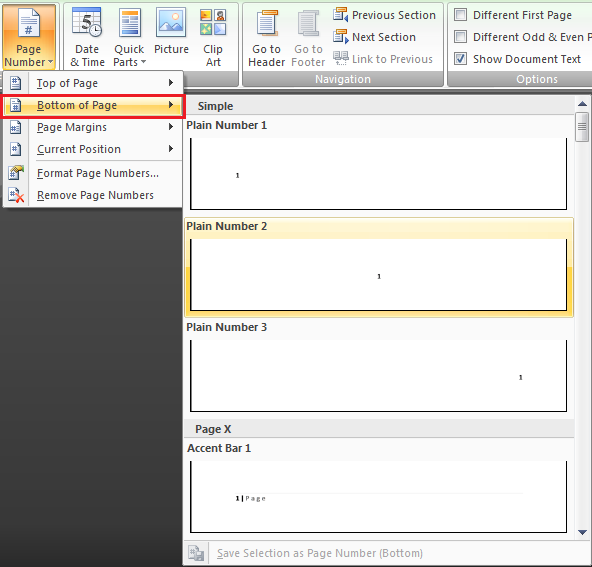 To add page numbers, click on ‘Page Numbers’ in the ‘Design’ tab and select where/how you want to place them. 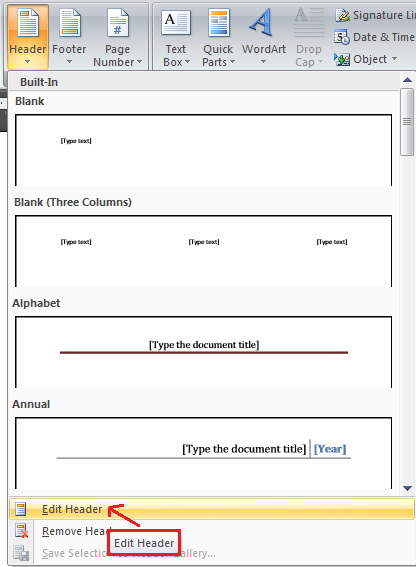 As before, double-click outside the footer area to continue writing your eBook. Step 9: Write the eBook. For each chapter in your eBook, make sure you start with a heading. Select the heading and click on ‘Heading 1’ in the ‘Home’ menu. This will ensure that the table of contents picks up all the chapter headings. Make sure the rest of your chapter, apart from the headings, are in ‘Normal’ style. Use the text styling options in the ‘Home’ menu to set the font type, size, color, and also the line spacing, alignment and indentation. I suggest you use a legible font, a dark font color, and a font size that is easy on the eyes. Step 10: Include hyperlinks where required. The beauty of an eBook is that you can easily link articles or websites online, that your readers can click through to read. 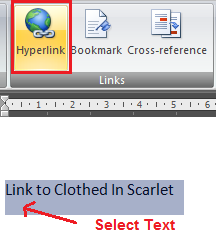 To insert a hyperlink, select the text you want to link and select ‘Hyperlink’ from the ‘Insert’ menu. In the dialog box that pops up, type in the web address you want to link to. 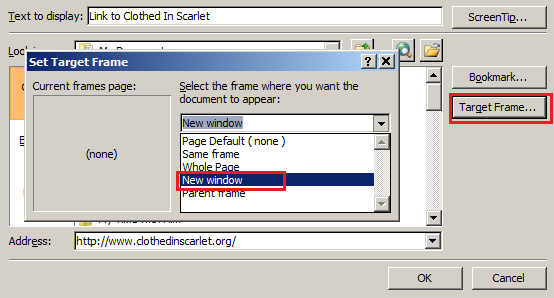 Then click the ‘Target Frame’ button and select ‘New Window’ from the dropdown list. This is to ensure that the links open in a new browser window. Click ‘OK’ twice and the link will be added. Step 11: End with the author page. 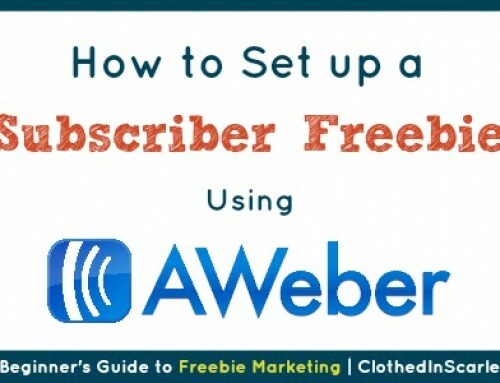 Use the last page of your eBook to promote yourself. 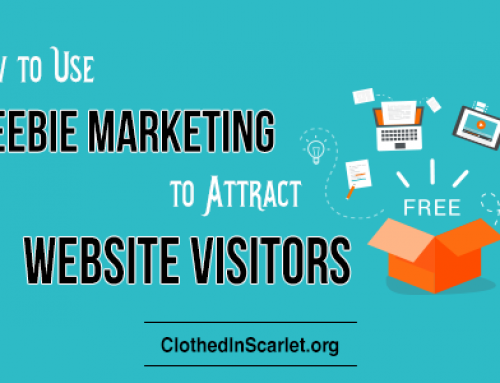 Insert a flattering picture of yourself and a short bio, with links to your website, social media networks and other products/services you offer on your website. 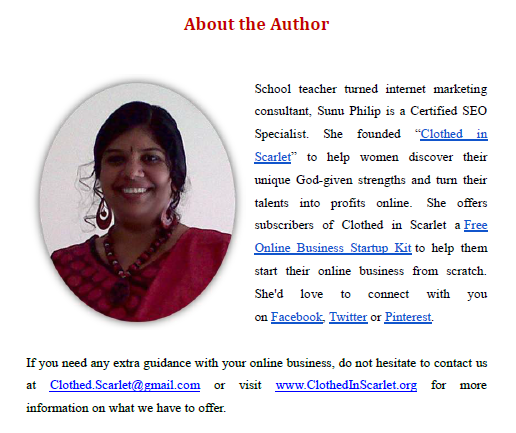 Here’s a glimpse of my author page. 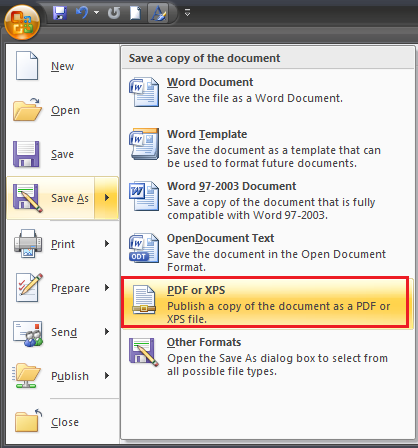 Step 12: Convert your Word document to a PDF. It’s best to make your eBook available as a PDF, as your readers can read it on just about every type of smartphone, tablet or computer. 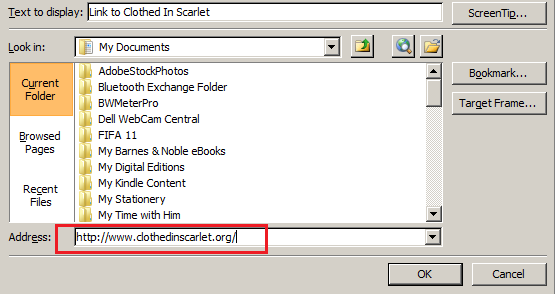 In the ‘File’ menu, select the ‘Save As’ option, and then click on ‘PDF’. Enter a file name and click ‘Publish’, and you’re done! Note: Older versions of Microsoft Word might not have the option to save the file as a PDF. In that case, you’ll have to use a PDF creator to do it. Step 13: Create a 3D eBook cover (if required). Your eBook is now ready to be shared with your readers in PDF format. If you are proficient in Adobe PhotoShop, you can create a 3D cover for the eBook (using the 2D cover image created in Step 3 above). Check out this handy tutorial on how to convert a 2D eBook cover to 3D, and a free 3D eBook cover template. 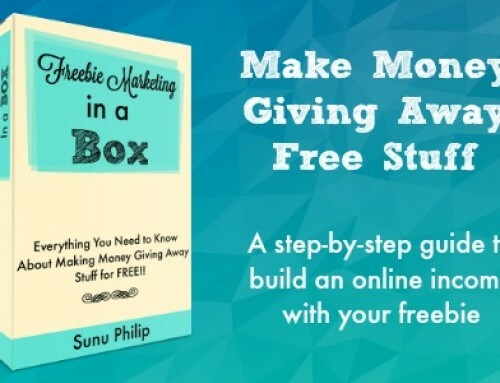 Today’s Challenge: If the freebie you want to create is an eBook, get started on it! You can do it… one word at a time! 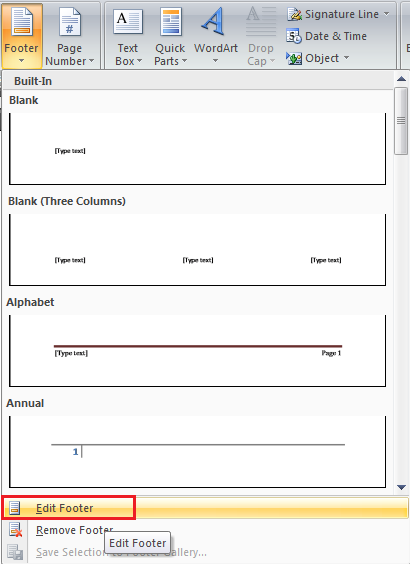 Have you used Microsoft Word to write an eBook? 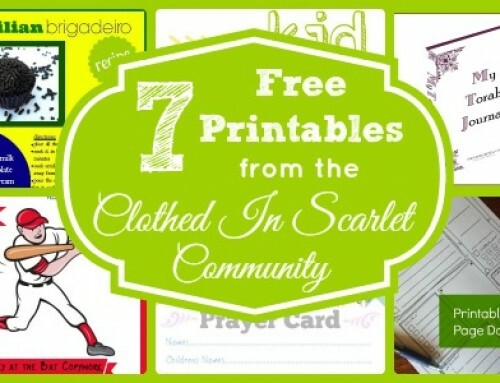 After creating my first printable I really want to try creating an ebook. You made it to look so easy. That’s great Ana! You can do it… my dear! 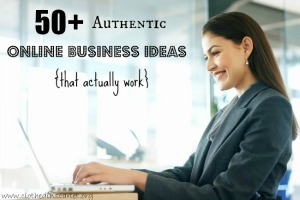 This is a great post – and you do make it look easy! I have written ebook projects in Word, but I never fully understood how to use the Table of Contents feature. I need to remember that! This is awesome!! You’re tutorials are amazing, Sunu! 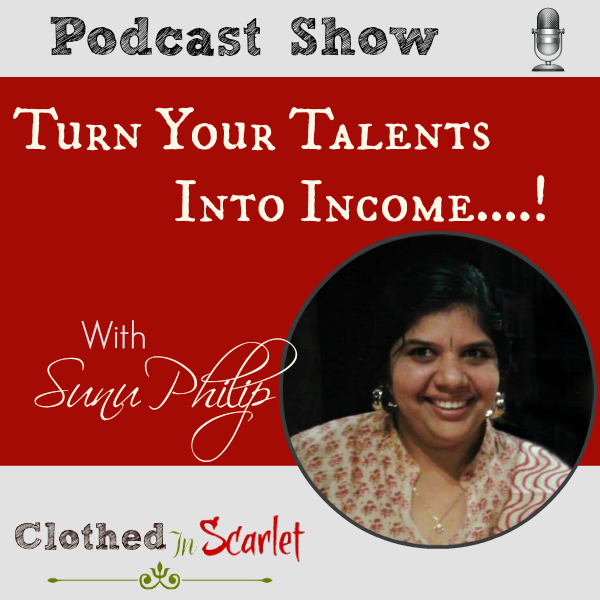 Hi Sunu – This series has been very helpful and encouraging. I started on my ebook this week, but am going to go back and set it up the way you’ve described. Thanks. Thank u Sanu this is what I wanted will try it out. 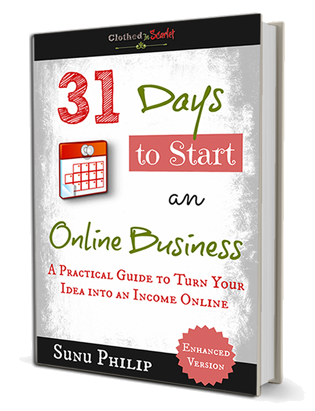 Hey Sunu – that is a great run down of using Word to write an ebook – loved it! Thank you so much for sharing, I can’t wait to use this myself. Great tutorial. You ROCK! Hope all is well in your world. Thanks Debi! Here things are going well! Hope everything is great on your end!! 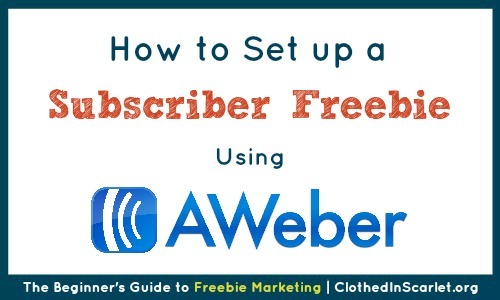 always wanted to try making a ebook…from pages of my blog….your tutorial makes it look not as hard as it sounds just one step at a time…thanks so much! Thank you! This was wonderful! You walked me through everything so easily! Glad you found the tutorial helpful, Lori. All the best with your eBook! Just found this tutorial and love it! Would you know if it’s possible to download Microsoft Word from Apples App Store, and create an ebook from an iPhone? I love the idea of being able to add something as it comes to mind on the go. oh Jennifer, I am not sure how to do that. I will search about that and update you!! Greet tutorial! Can the e.pdf book be uploaded to the kindle direct publishing (KDP) format pretty easily? You are really great .I am thinking why I didnt get this information before publishing my ebook on Amazon.Thank you very much for this website.You are doing a great job. I dont have a blog .I want to start a blog of mine and want to publish my ebooks. This is an awesome tutorial. I’ve been thinking about an Ebook for quite some time. Can you also publish this same way if you don’t plan to have it be completely free? Many thanks. Many thanks. The steps are clear and exciting. Thank you so much for this! 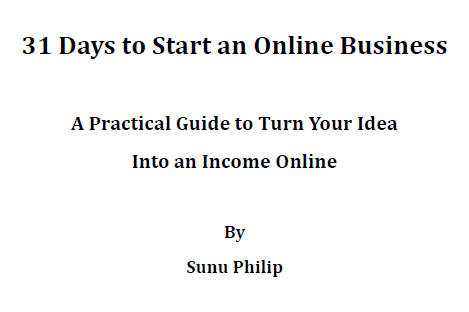 I have been looking for a guide just like this, so I can get started on my first ebook. I have been a little intimidated by the whole process, but I’m glad I found this! Thanks again for sharing! 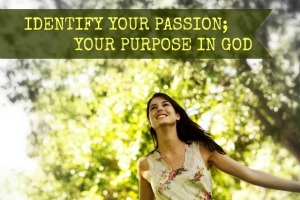 Thank you for being you and following your God-given purpose! Be blessed! Thank you for the kind words, Linda. God bless! You can add it as an attachment in a new message and email it to yourself. Hi Sunu. I realise this article is 3 years old but I’m just seeing it as I research on how to write an eBook. Thanks for your tutorial! I have a question: I don’t know if it’s the PDF creator I used that is causing the problem but I’m seeing big gaps in my eBook where I didn’t have any page breaks in the Word document. Do you know about this issue and do you have any solution? Thanks for your help! I am so excited that you put this formation out here for all of us newbies. 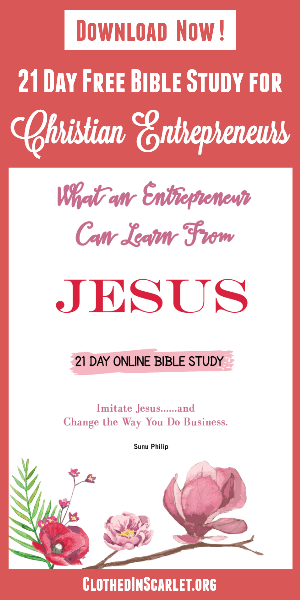 I am starting my first ebook today. Thank you so much.